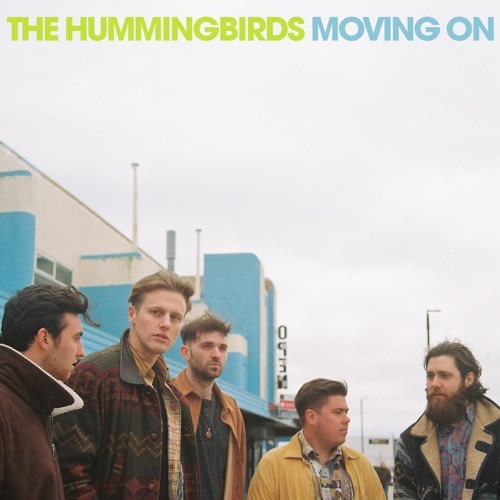 The Hummingbirds released their new 4 track EP, ‘Moving On’ on 28th July TODAY. Smashing sell out tours of the UK in 2016 and closing last year with 2 nights at Liverpool’s O2, they are on the road again heading towards the summer festival season with their killer harmonies, contemporary melodies and irresistible Scouse humour. As independent artists it’s no mean feat to get noticed above a sea of songsmiths and musicians in the digital maelstrom of music releases, but their 2016 debut album, ‘Pieces of You’, profiled as a recommended indie release on the home page of iTunes, selling out within hours of going on sale in their home town of Liverpool’s HMV stores and making it’s debut at number 9 in the indie album charts, captured the ears of the critics, with solid support coming from titles such as; Q, The Telegraph, Gigwise, Clash and The Independent to name just a few. The band also performed live sessions on BBC London, Oxford & Liverpool, with plays on 6 Music and Radio 2. Born and bred in Liverpool, immersed in generations of the town’s fine musical heritage, The Hummingbirds have spent their debut years amassing a strong following of loyal fans who travel the length and breadth of the country to watch them play. As they roll out song after mesmerizing song, filled with three part vocal harmonies, perfectly timed rhythm guitars, love fueled lyrical content and a beautiful line up of straight faces masking their intrinsic Scouse wit, one can’t help but feel that you’re on the cusp of discovering one of Britain’s next great bands. Last year’s sell out tours, taking in sold out shows at Liverpool’s 02 Academy the Arts Club and London’s Bush Hall with a stream of festival appearances that included Festival Number 6, Cornbury Music Festival, The Great Escape, Kendall Calling, Stockton Calling, Sound City, The Wychwood Festival and Halfway to 75, saw the band’s online presence steadily increase with a combined views on socials of around 60,000 plus. They have also supported Cast, Catfish & The Bottlemen, Hudson Taylor, The View, The Frontiers (double headline), Pete Docherty, Young Rebel Set and this Spring saw them open for The Libertines, The Coral and Reverend and The Makers at Wirral stadium. They will be playing further live dates across the UK to support the EP release throughout the summer. It was in fact a mutual love of Young Rebel Set that brought The Hummingbirds together. The guys, Jay Davies (lead vocals / guitar), Mic Kountis (guitar / backing vocals) and Richard Smith (drums / backing vocals) Matty Brougham (rhythm guitar) and Ryan Lewis (bass guitar) were all fans of the band and met at gigs, partying back home whist covering their songs, at the same time honing their craft both on stage and in the studio and carving out their own unique sound. They are now writing and singing in more confident and distinct voices than ever before, showing a natural progression of musical maturity and picking up inspiration from the popular culture and musical sounds of today, they are currently listening to Ryan Adams, The Eagles, Rayland Baxter, Isbells, The Milk Carton Kid and Jake Bugg. What you get is a perfect toe dip into Americana and Nashville, whilst retaining a residue of the quintessentially British Mersey sound that runs through their veins. The tension and the moodswings of their music, both at its wildest and at its most tender, possesses a charge that is positively electric.